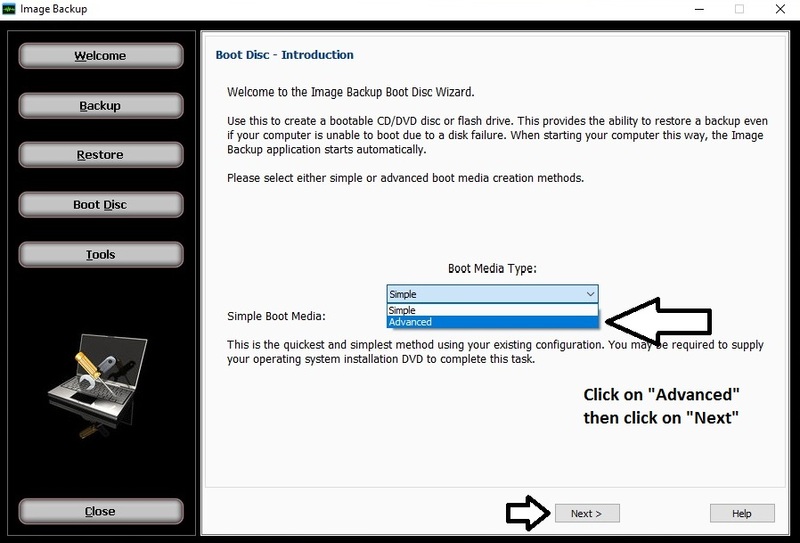 This step by step guide will assist you in creating a Recovery Boot Disc for USB and CD/DVD using advance mode. 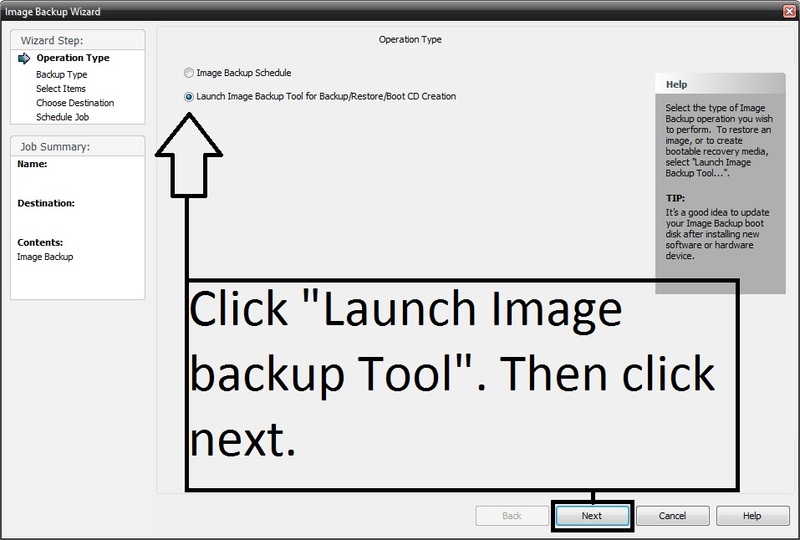 Our current version of NovaBackup PC Supports USB flash drives from 1GB to 16GB in total space. Your USB Flash drive will be erased during this process. What is the difference between Simple Mode and Advanced Mode? Simple mode would be for those running a Workstation operating system such as Windows 10, and Advanced mode would be for those running a Server operating system such as Windows Server 2012 R2. 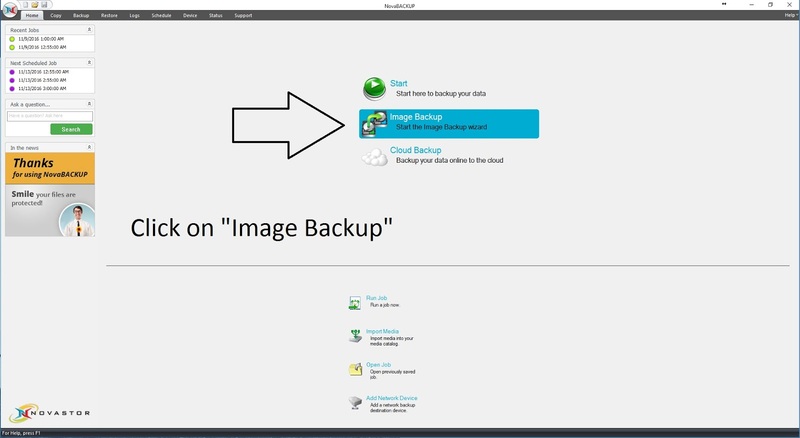 Regardless of OS type you are required to use Advanced mode if your computer has a RAID controlled internal hard drive. 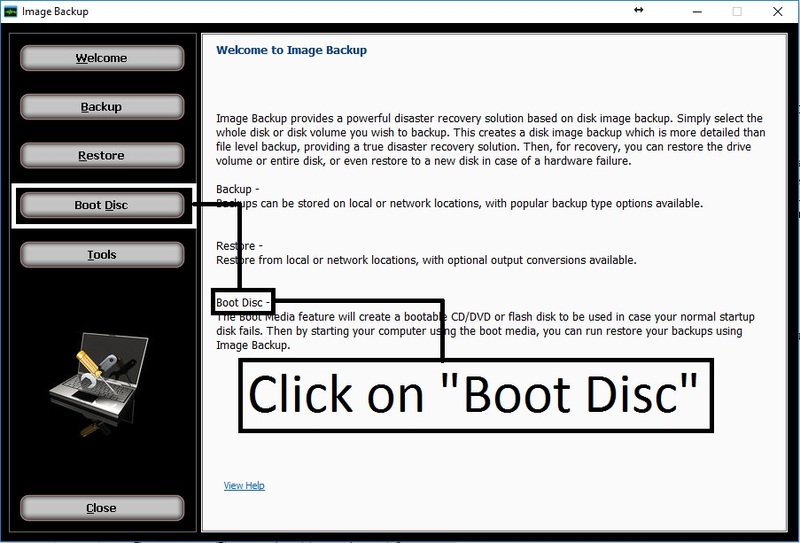 If your computer contains a RAID controller, the RAID controller driver is required to be added via Advanced mode Recovery Boot Disc creation, in order to support restoring to the RAID controlled hard drive. If this is not done then you will not see your RAID controlled hard drive when booting to the Recovery Boot Disc. You want to use advanced mode if you have a special graphics driver, a special Network controller, or RAID/storage controller. Not all systems have the Recovery Environment for Windows installed. Many OEMs will replace the default recovery environment with their own, and Windows updates may also change the included files in this system. 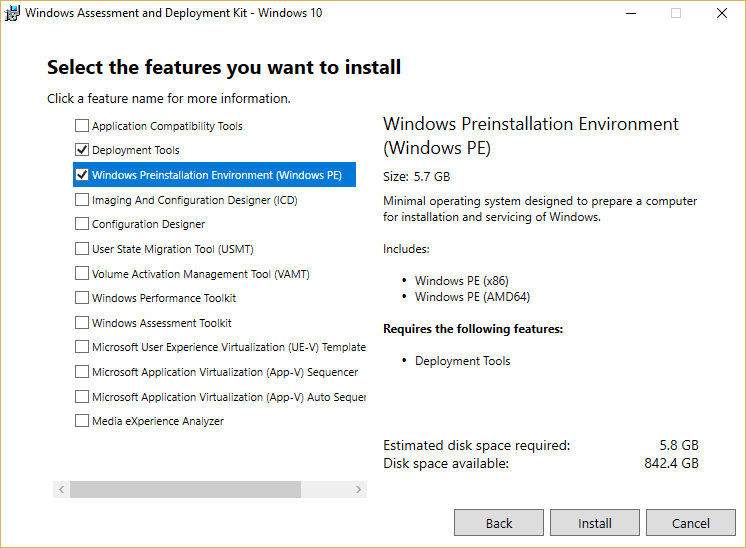 IMPORTANT: Make sure that you have “Windows Preinstallation Environment (Windows PE)” and “Deployment tools” checked. Choose “Advance” and click next. 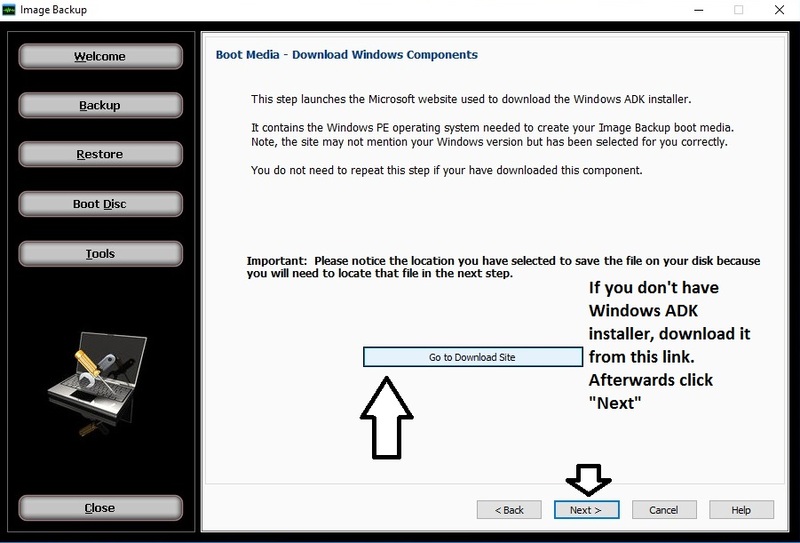 [Go to Download Site] will download adksetup.exe to your default download location. 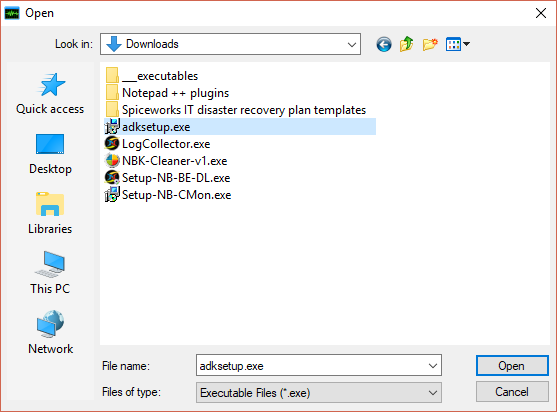 If the downloaded file is automatically renamed to prevent conflicts, such as to adksetup (1).exe, take note of the filename and location for the next step. 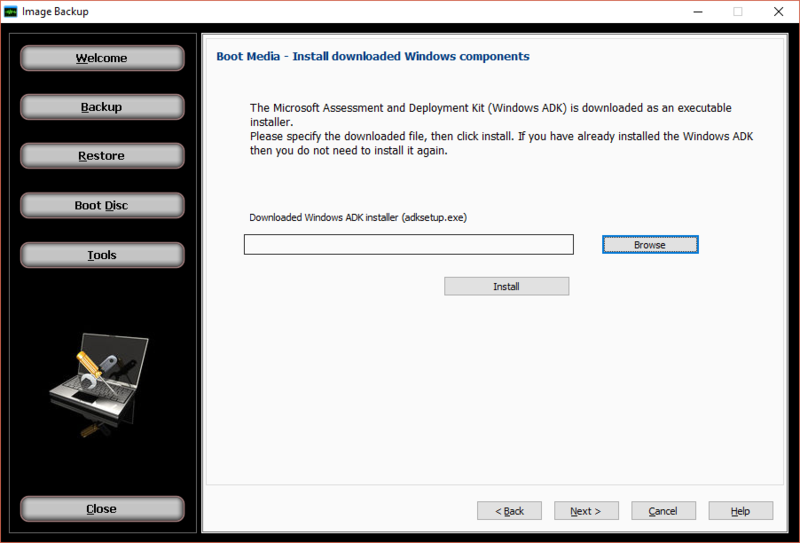 This step Will take time, as it needs to download the ADK files from the internet, extract and install them. 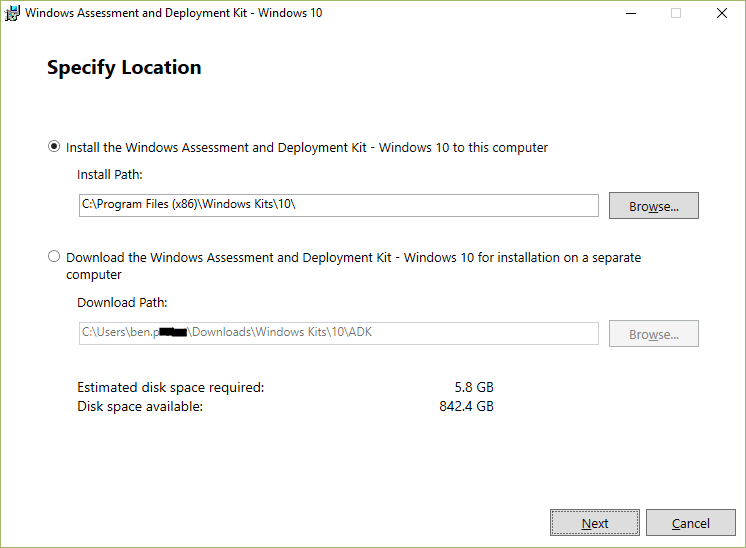 Once complete, [Close] the "Windows Assessment and Deployment Kit" installation window. Select [Next] after closing the ADK Installation window. “Deployment tools” selected to install. If you have additional drivers or applications you would like to add to boot disc, click on “Show optional files list” then click on [Browse] to add your drivers/applications. Here is where you can add: Raid/storage controllers, special network drivers,etc. If you don’t have any special drivers or applications to add, you can click on “create image” to start the process of creating your bootable recovery environment image. dialog will likely display a (Not Responding) indicator while running, This is Normal Behavior, do not close the window. Once The Image Creation is complete the message at the Bottom Left will change to: "Process completed successfully, click Next to continue." From here we are going to write the boot image onto your USB flash drive. The USB Flash drive must be 512Mb to 16Gb in total space on the drive. Your USB Flash drive will be erased during this process. If no devices appear in this list, select "Just create ISO file, do not write to boot media" and choose [Finish]. Locate your USB drive and click “Finish” to start the writing process to the USB. Once it says, “process completed” you are finished and have successfully created your bootable recovery USB drive. 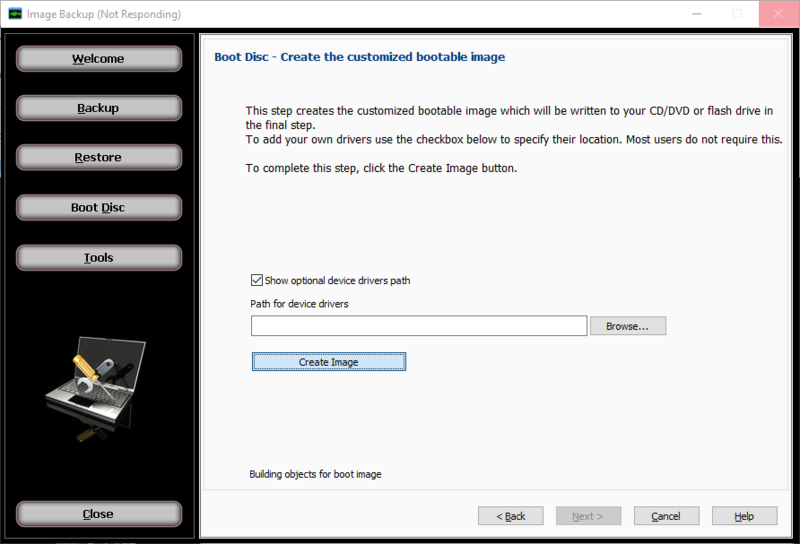 From here we are going to write the boot image onto your CD/DVD using Windows Disc Image Burner. 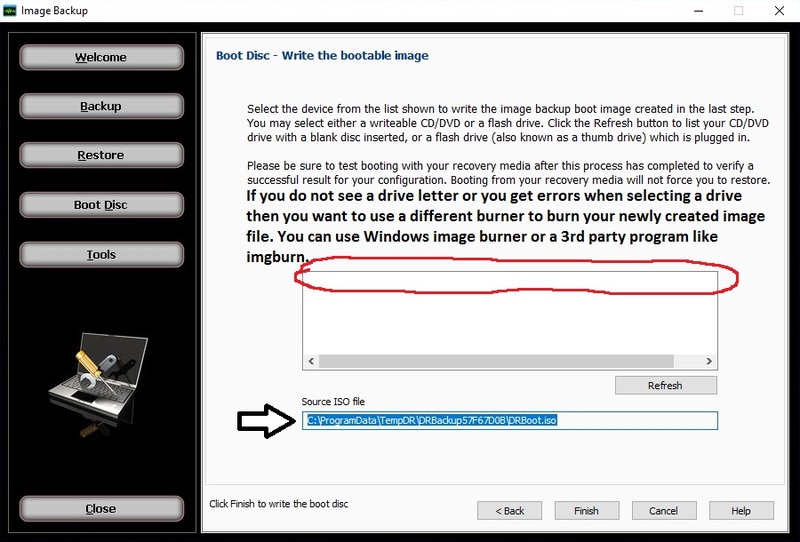 After the burning process is completed, you will have burned your bootable recovery image onto a CD/DVD. Windows 10 ADK contains additional drivers to support newer chipset motherboards, newer video cards, and USB 3.0 in general. The USB Flash drive must be 512Mb to 16Gb in total space on the drive. The Boot disk is normally around 400Mb. Your USB Flash drive will be erased during this process. If you want to use a USB flash drive for the boot disc but have other files and folders on the USB flash drive; you can copy the files and folders to your computer, write the recovery image to your USB flash drive, then paste the files and folders back on the USB flash drive if needed.